Monday morning early on I lit my kiln, flipping heck it was a hot day to be firing a wood kiln. Lovely spot I have down there under the big beech tree though, shady for most of the day thankfully. Do you see that Alex? That is a fire lit with newspaper and wood, no firelighters there! 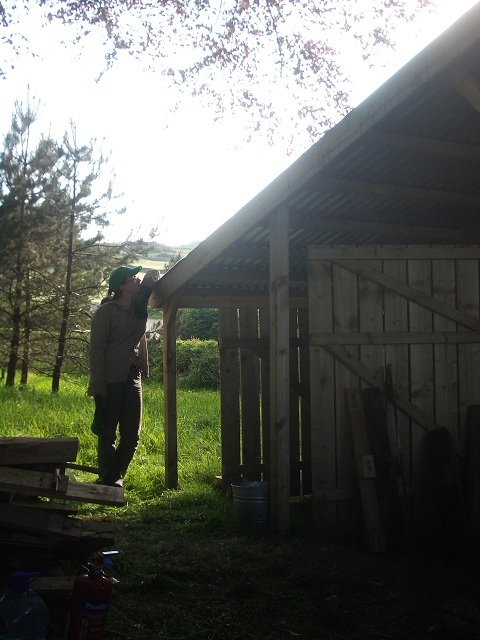 Having a minute watching the chimney and leaning on my shed extension in front of the fire box. I should unpack it tomorrow, it was still at 200 this morning. Last night apparently there was a programme on ITV about Dumfries House and people are telling me you could play I Spy Hannah’s pots. They have some of my work in the house there up in Cumnock in Ayrshire, the house was saved from demolition in 2007 after a campaign by HRH Prince Charles. Today I had a visit from the BBC who were filming a piece about Spring Fling, our local open studios event which happens this weekend. That will be on Eyes and Ears on Good Morning Scotland on the radio tomorrow and Reporting Scotland tomorrow evening on the TV. Flip! This entry was posted in Spring Fling, wood firing. Bookmark the permalink. 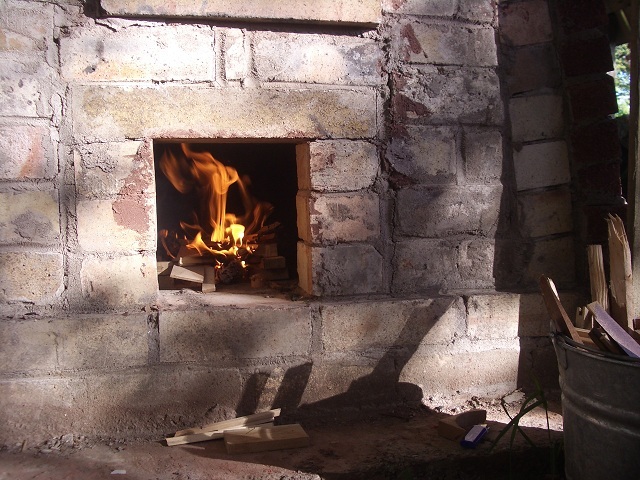 Lovely pictures of your wood kiln – can't wait to see the firing results.